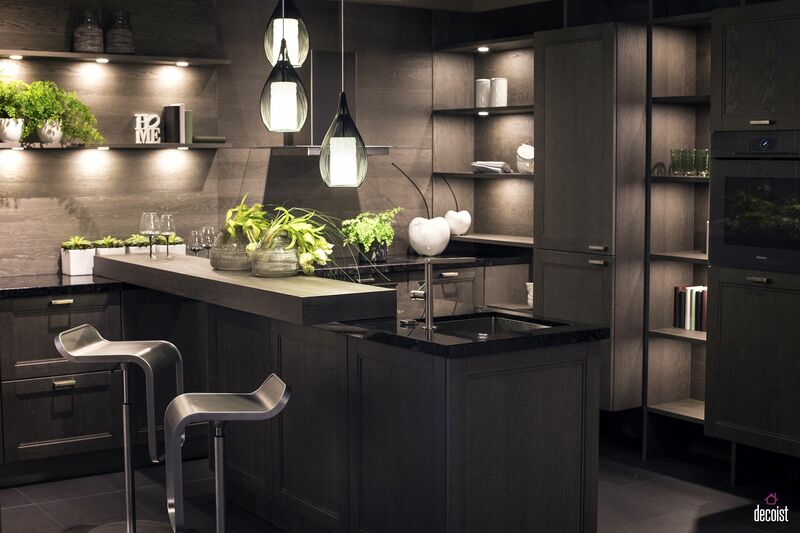 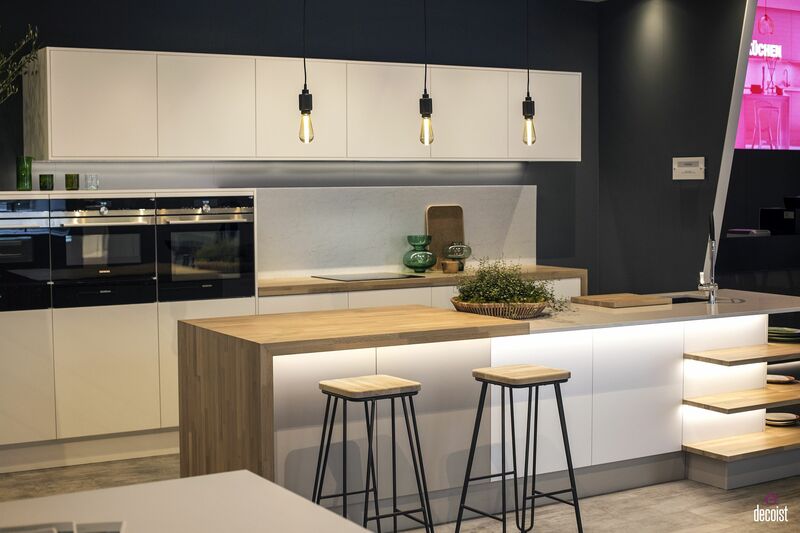 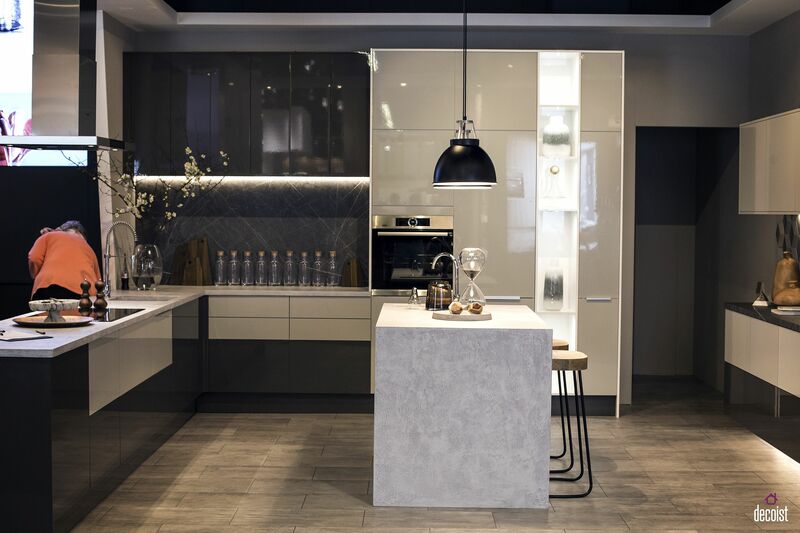 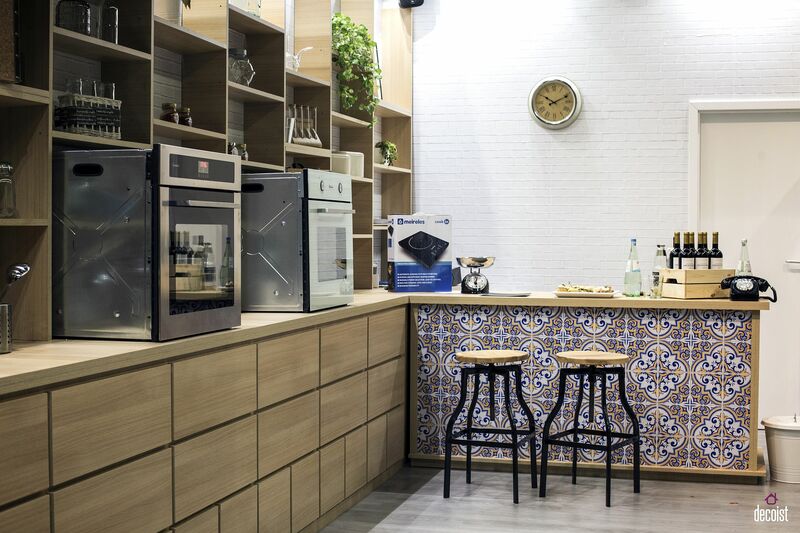 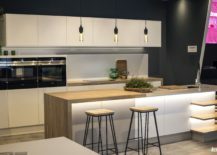 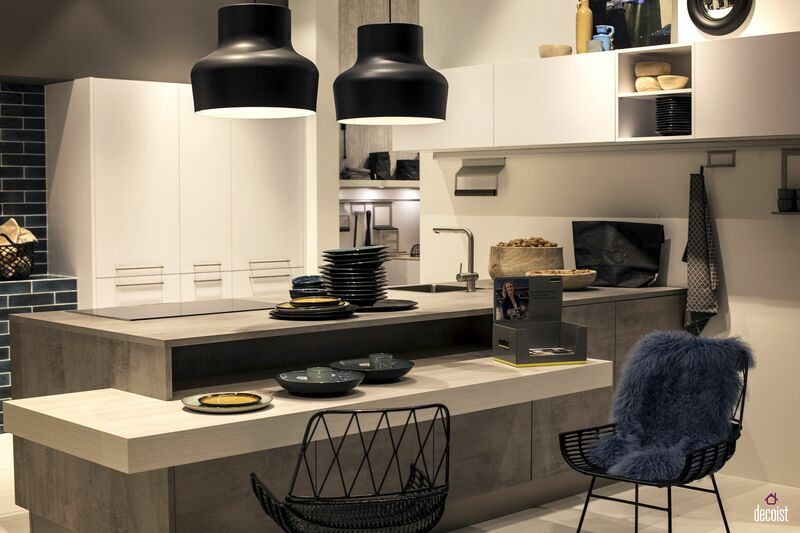 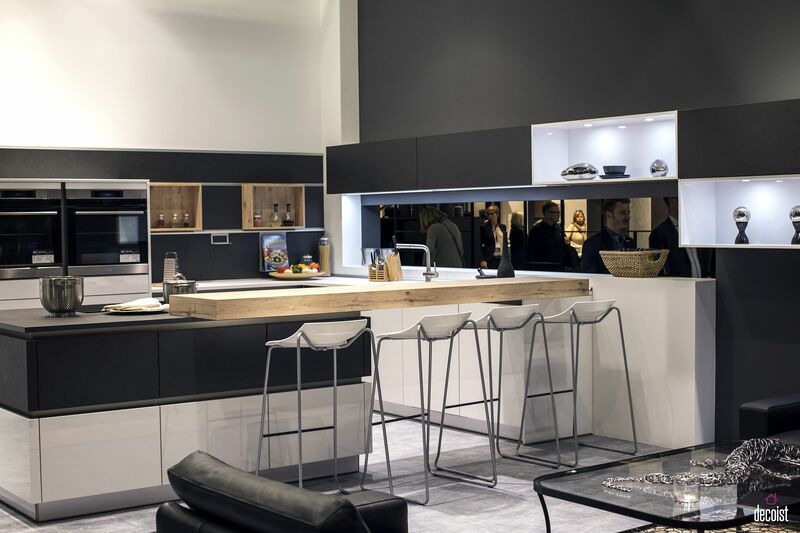 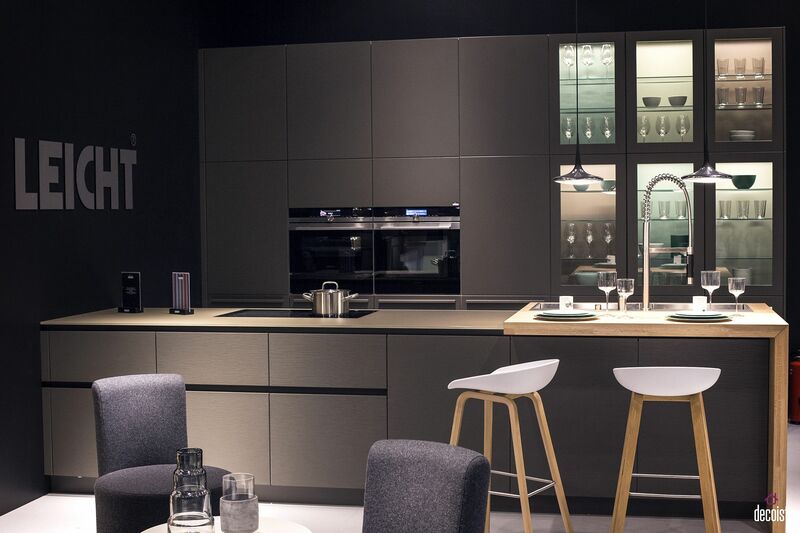 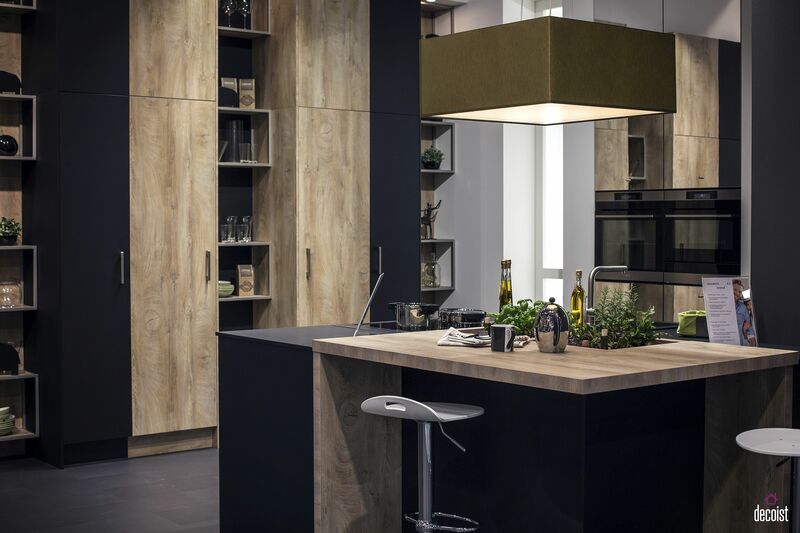 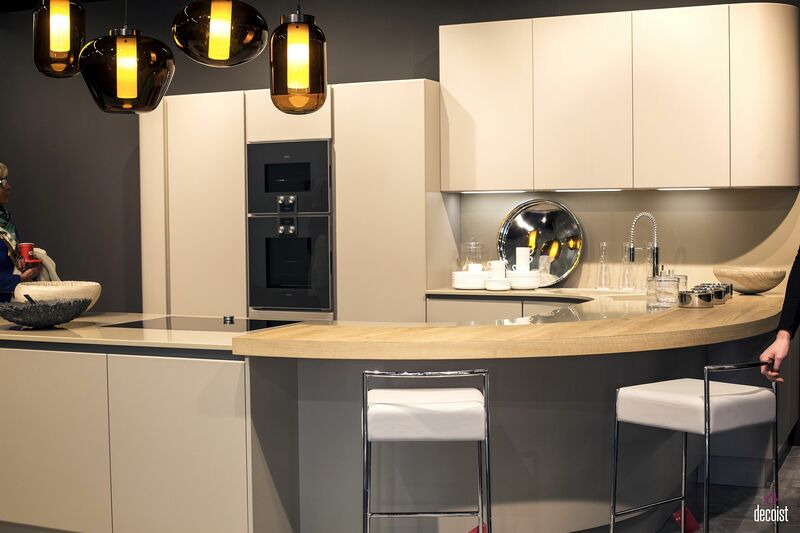 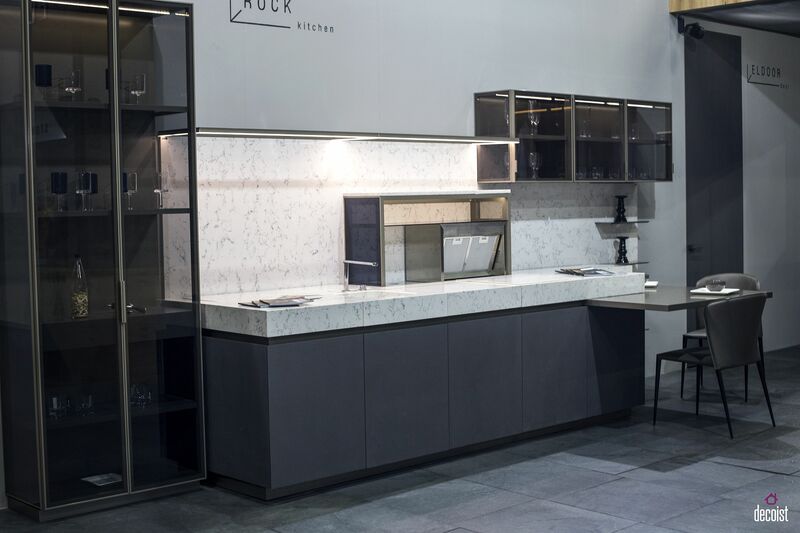 If there is one hot trend in interior design that is shaping the kitchens of today and tomorrow, then it is undoubtedly the idea of a ‘social kitchen’. 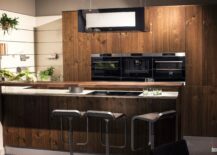 Evolving beyond just a place to prepare meals, the kitchen of this decade brings back the nostalgic charm of those retro kitchens that were built to host friends and family with ease. 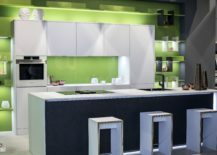 Of course, the aesthetics are largely different with state-of-the-art appliances, polished finishes and contemporary sparkle. 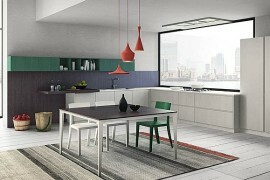 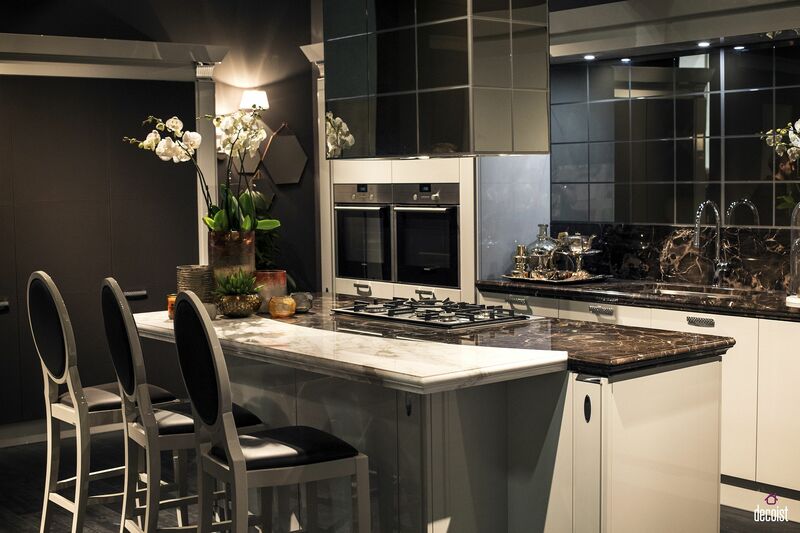 But the kitchen has once again become a social setting thanks to open plan living spaces and innovative design. 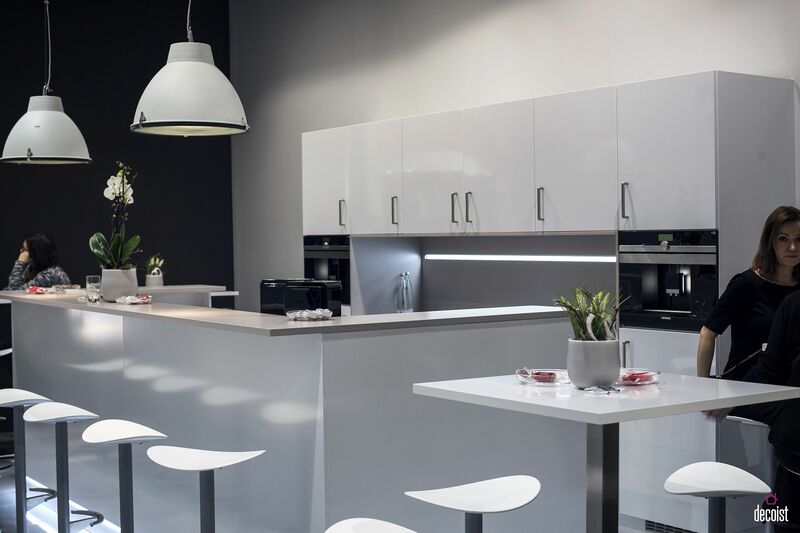 At the heart of this interactive space is the coffee shop style breakfast bar. 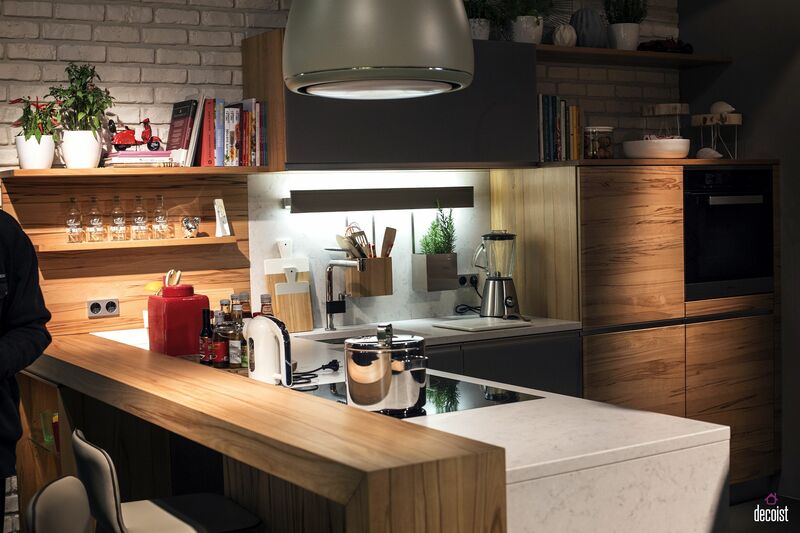 The simple wooden block that feels like an extension of the kitchen island is definitely the most popular choice when it comes to trendy breakfast bars. 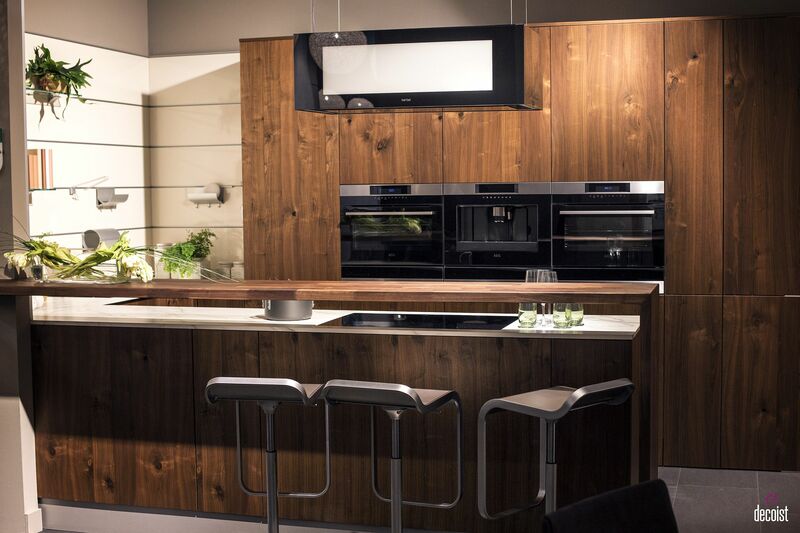 The shape and size of this sleek addition depends on both the size of your kitchen island and that of your family. 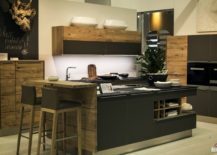 The smaller, square wooden blocks save up on space and are a great option for couples who are looking for something understated and intimate. 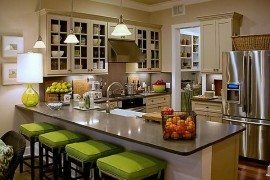 The slender, long breakfast bar that runs the length of the kitchen island can seat more people and combining it with cool bar stools that add color and contrast is a wonderful way to enliven the kitchen. 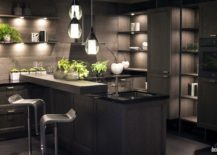 We absolute love design that moves away from the mundane and this is no different in case of the breakfast bars either. 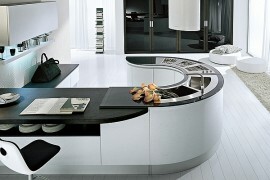 Do not be limited by the rigid geometry inside modern kitchens and opt for a curved breakfast bar instead! 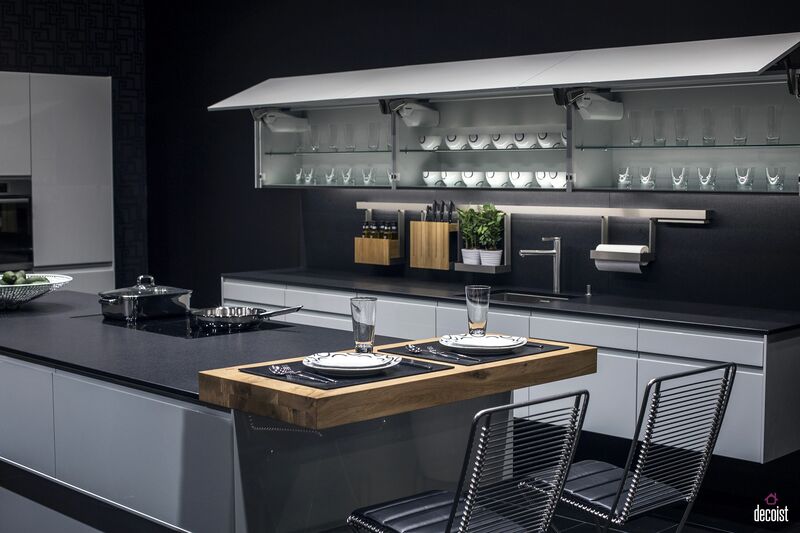 Sure, this demands custom kitchen island, bespoke storage units and a bit of extra work. 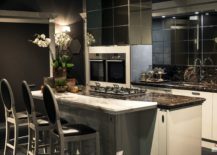 But the final result will be well worth the extra effort and dough you put in! Small breakfast bars that are an extension of the window ledge, stone breakfast bar blocks and ones crafted using glass stand out from the pack instantly. 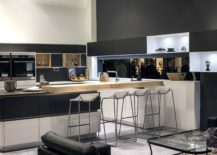 Breakfast bar sits at a lower level than the kitchen counter for a change! 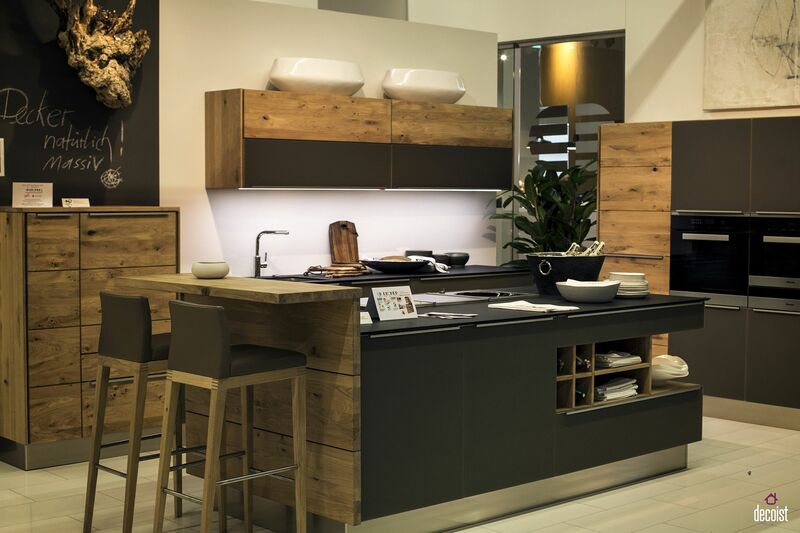 If you feel that breakfast bars are an idea for only the spacious kitchen, then you could not be more wrong. 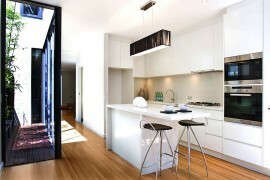 In fact, it is the small, urban home that benefits the most from a kitchen island that also features a breakfast bar. 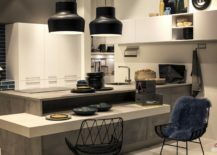 In the small city apartment where every inch of space matter, the breakfast bar also doubles as the dining area and saves precious square footage. 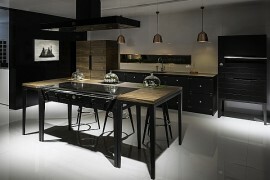 Just add one to your kitchen worktop or tiny island and throw in a couple of stools and you are good to go! 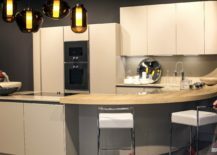 There is definitely more creative freedom in the large kitchen with a fabulous central island while designing the breakfast bar. 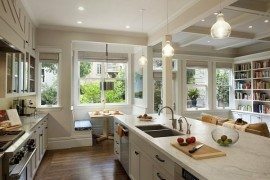 Instead of the usual design where the breakfast bar is just a few inches above the island countertop, opt for one that is a few inches below to vary the dynamic of the kitchen. 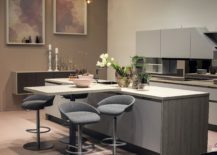 Make sure though that you pick bar stools according to the height of the counter to avoid any future dining hassles. 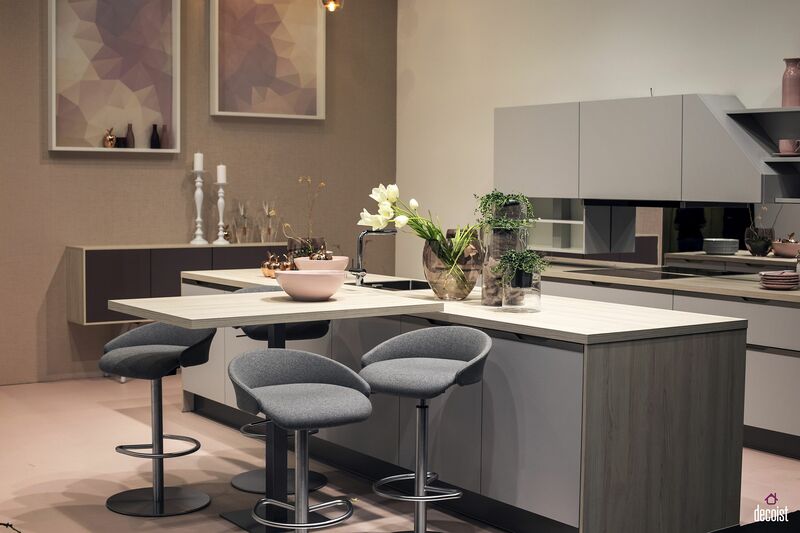 There are plenty of homes these days where the dining table is a smart extension of the kitchen island. 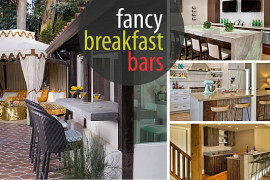 It is barely a surprise then that the breakfast bar can go down the same route. 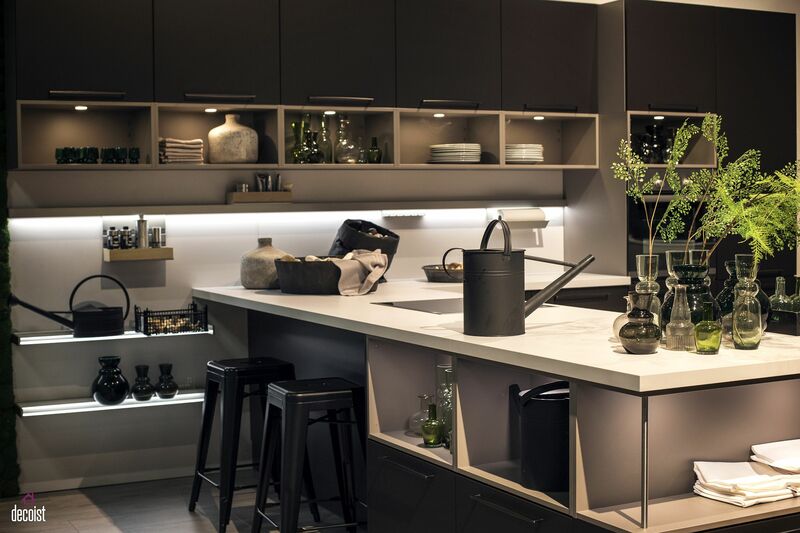 In the larger kitchen, this space can also double as a great party zone where additional counter space can be used in multiple ways both while prepping and hosting. 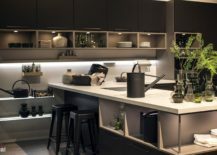 What makes a breakfast bar truly special though is the way it brings together your entirely family after a long, hard day or even during few fleeting seconds each morning as you rush out. 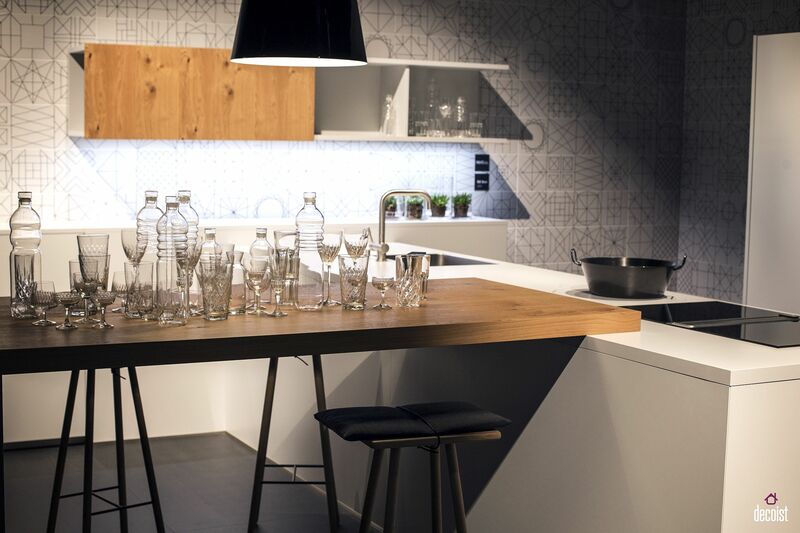 Beyond all the aesthetic and ergonomic advantage, this is the true charm of that dashing breakfast bar!